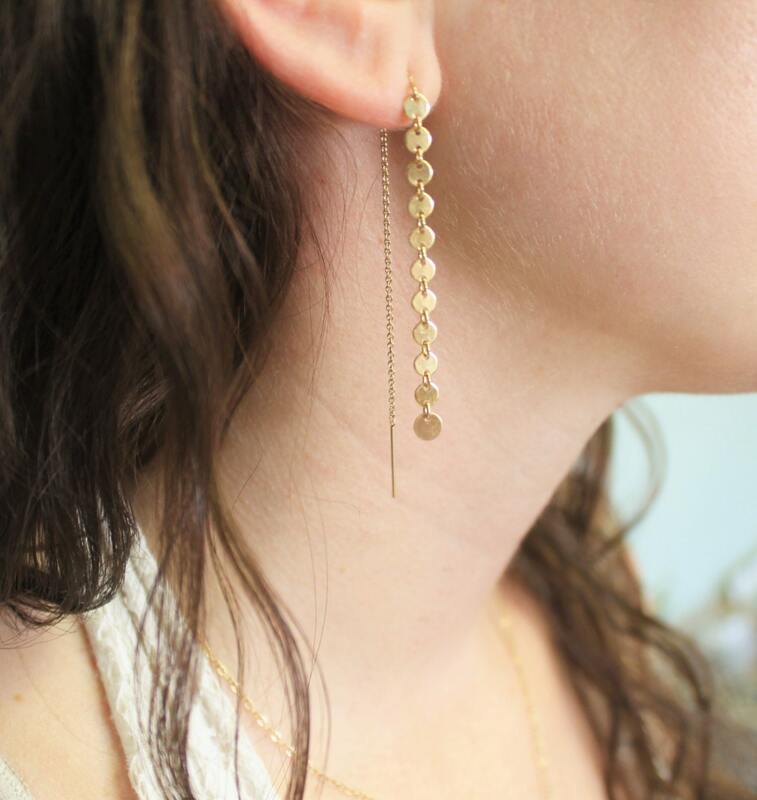 These gorgeous earrings are created with high quality 14kt Gold Filled or Sterling Silver ear threaders. 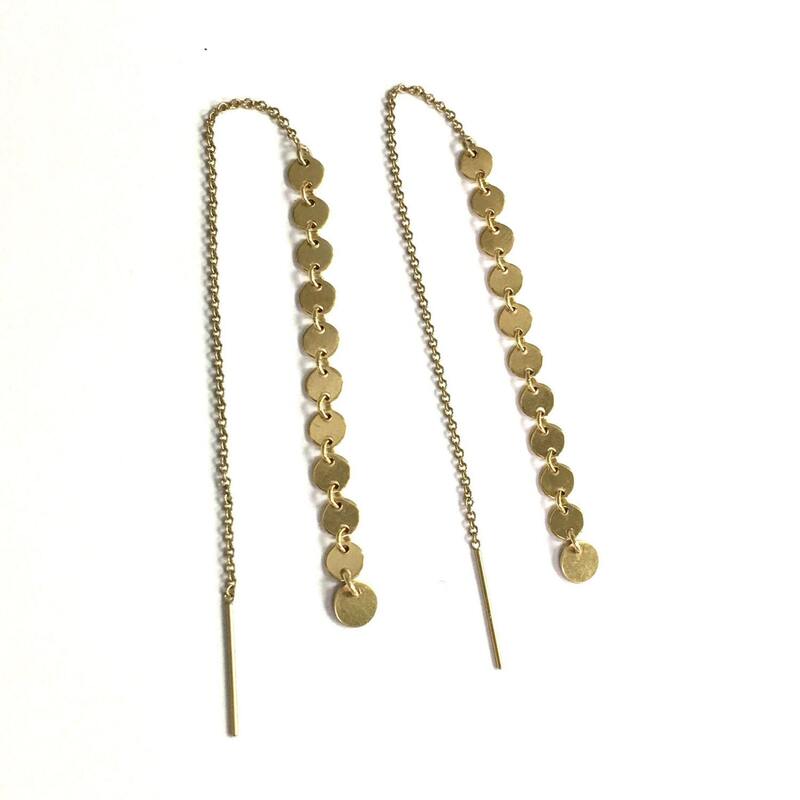 Attached to the end is a 14kt gold filled or sterling silver shimmering row of tiny coins. End to end the earrings are 5.25". Approximate 2.25" of coins on the front. 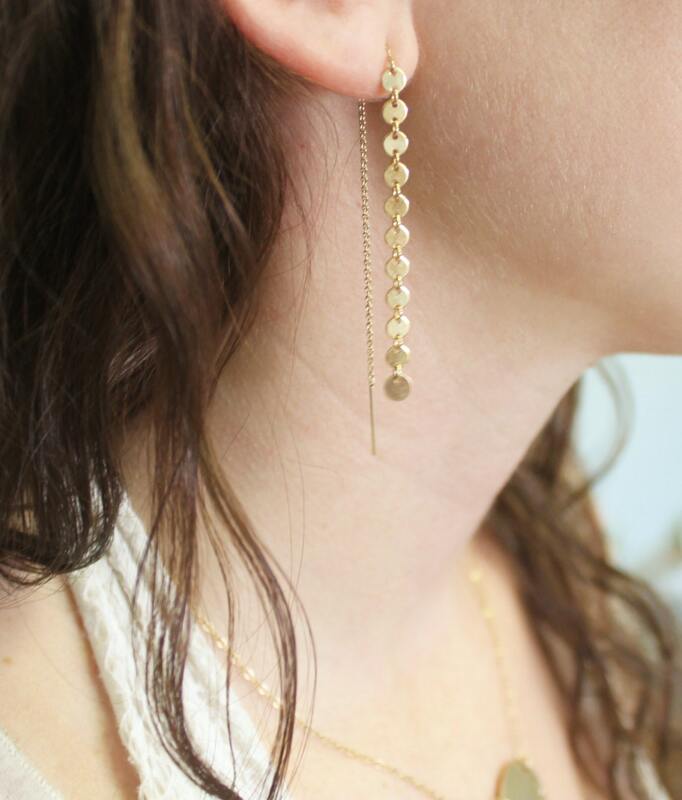 These earrings are delicate and very flattering. I shopped around quite a bit for threader earrings before finding these. Very pleased with my choice! 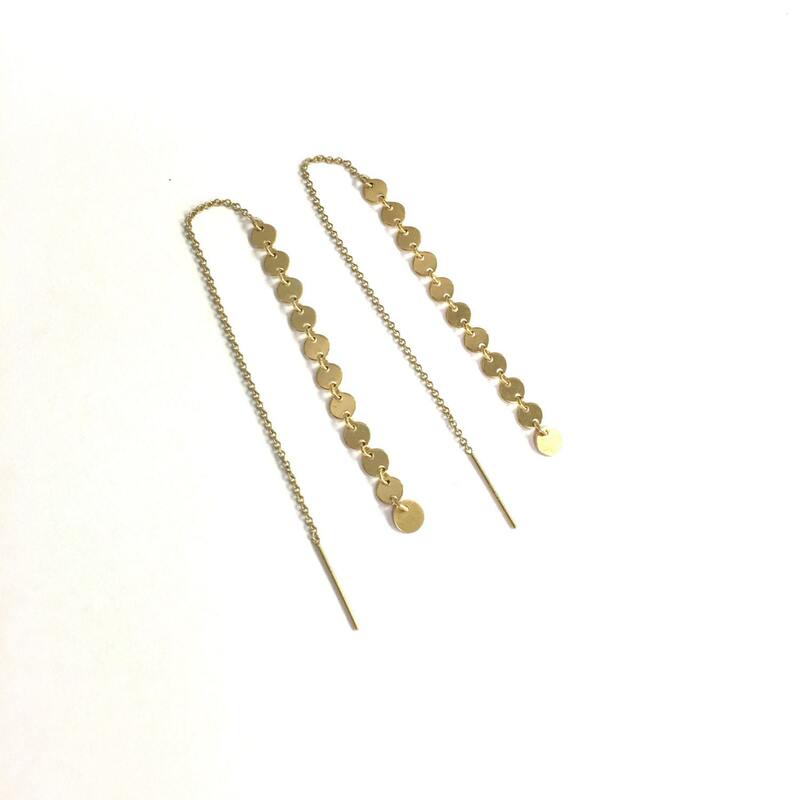 Very stylish earrings. They're one of my new favorites. Great value too. Cute packaging. Very nice earrings! Light weight but stay put in my ear! So gorgeous! Perfected my wedding look !! !